Sacred Games, a Netflix Original series, directed by Anurag Kashyap and Vikramaditya Motwane, premieres globally July 6th and we can’t wait. The eight-episode thriller follows the riveting journey of Sartaj Singh (Saif Ali Khan), a seasoned, police officer, and Anjali Mathur (Radhika Apte), an intelligence officer, to the centre of a mysterious web woven the powerful criminal overlord, Ganesh Gaitonde. 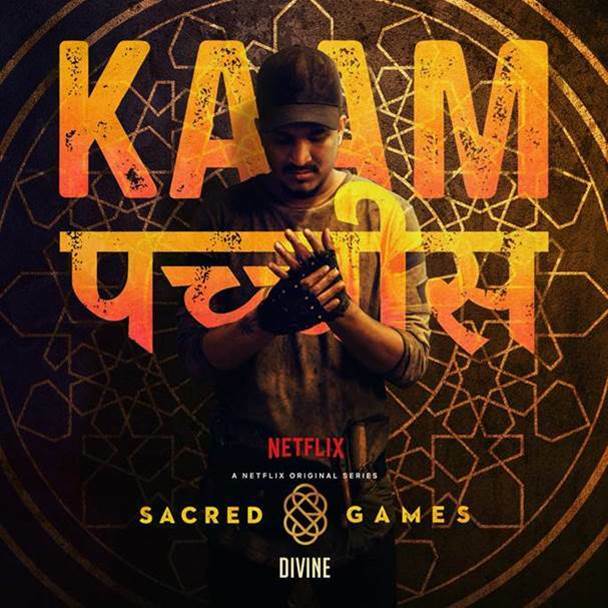 Rapper, composer DIVINE, launched a brand new track titled Kaam 25 for Sacred Games. Known for his love for the city, DIVINE wholeheartedly embraces the gullies of Mumbai, much like the ethos of the series. Kaam 25 captures the essence of the Maximum city and is all set to kickstart the Sacred Games on July 06, 2018. With his track, DIVINE represents the voice of Sartaj Singh, a cynical, struggling police officer, who has only 25 days to save his city! The song will be available on Apple Music, Saavn, Gaana starting 18 June. 15 queries in 0.430 seconds.